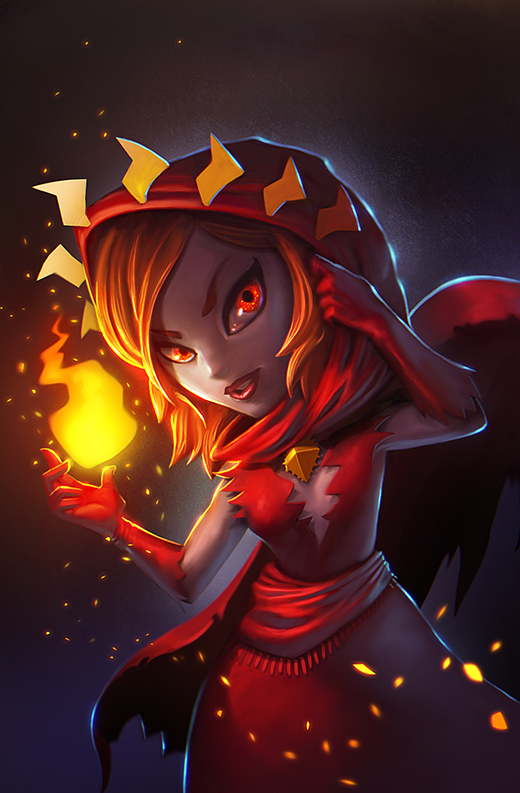 Background: Able to separate a beneficial essence from the flame to aid her friends, Ember isn't opposed to getting a little retribution too. Fiery Renewal: 2x Healing for Fire allies. Fire Mend: Heals friends and raises their ATK and Cleanse any Burns, if targeted on an enemy it damages them. Master Healer: Heals all allies 2.5% every turn. Cauterize: Heal an ally and the next lowest HP ally and grants burning skin, if targeted on an enemy it attacks with Burn. Perpetual Flame: Regenerate team's health over 3 turns and add a reflecting shield, if targeted on an enemy attacks 3 times. Changing speed is exciting will make noticing what ascention she is very important for pvp and tower though!! Thanks for more uses for the Incendiary, Brawny, Earth Sisters, etc. Very cool that she can use her specials offensively or defensively. @Joel - what is Provoke that she is immune to? I just don't want anyone to be "homeless". Aria has the ability to provoke enemies with her Provoking Poke. So happy to be able to use all my excess Earth Sister evos! 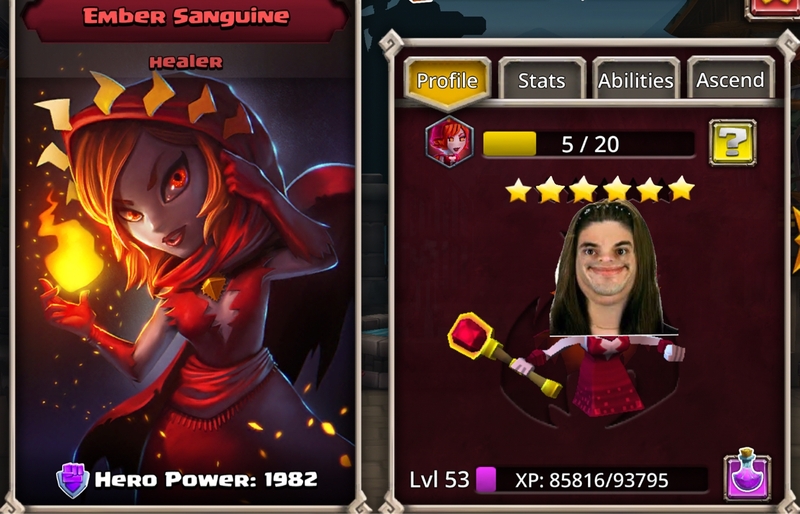 Also Red Healer! Yay! Thanks, that must have been added in the edit. Yep. That was an accidental omission. Your questions on the new heroes have been really good. One could even say that you're... on fire. i see a lot of hate for Jasmine... why this now? I'm not seeing any description of what Provoke is in the original post. The description was in Aria's spotlight, but I've just added one here too for clarity. Chances are if you have the excess tokens to unlock them, you have the excess evos to ascend them. I'm only missing the rares. Both the new heroes hate Yasmin? I get Ember maybe, but Aria?? What is the Aether Shop? Update your game from App store and you ll see . Enjoy ! Anyone know if there is a plan to be able to trade in Celestials you don't need anymore in this Aether shop? Astral evo once again..?!! Come on... it's the only evo that never ever comes around! Even when Evos dropped at 3x and 5x I never got a single one, spending more than 500 stamina trying to get it..
You can find those images for all 3 ascensions off all current heroes and skins.